Our story started with the kids asking, begging, pleading and working nerves to get a dog. All the begging and pleading went in one ear and out the other. Then one day, while studying and doing my own homework for school, a “Pit Bulls and Parolees” marathon came on Animal Planet. I had never heard of the show and didn’t care for pit bulls because of what I heard about them in the media. I was watching the episodes but only partially paying attention. As the day went on, the episodes started catching my attention and drew me in. The more I watched, the more my heart softened for the dogs and the situations they were in. The show opened the door for dialogue, and to my surprise the kids knew more about pit bulls than I did for sure. My son was familiar with pit bulls because his father had one and that’s all my son talked about – King this and King that – while my heart palpitated, praying King didn’t bite my son. I will be the first to admit how ignorant I was to think that my son’s father would bring a dog into his home that would harm his kids let alone him and more ignorant to believe what the media says. I’m not usually a “mainstream” person, as I like to form my own opinions. After much discussion with the kids, conducting my own research and speaking with coworkers and friends who’ve interacted with pit bulls, the decision was made to look into adopting a pit bull. Our search led us to Villalobos Rescue Center, of course. There was a gorgeous boy named Krunch that interested us. While completing the application for Krunch, another episode of “Pit Bull and Parolees” came on, and the story of Creature was featured. I am the biggest bag of water and softie anyone can know. His story was so touching that we cancelled our application for Krunch and completed the application for Creature. Our hearts were set on adopting Creature. We even decided we were going to change his name to Gargoyle and prepared ourselves for the interview. Unfortunately, our hearts were broken when we were notified that we would not be able to adopt Creature. While at work, a coworker told me about a local pit bull organization, Bully Paws Pit Bull Patriots. I contacted Bully Paws, and they responded immediately. Again another application was completed, and days and days went by surfing all of their adorable adoptable pit bulls. I wanted a male dog, and the kids didn’t care either way. We kept coming across one picture, and every time we would ask the same question: “Was she smiling?” This smiling pit bull was Sasha, a female, so the search continued. There was another pit bull that caught our attention, so we contacted the foster parents of both Sasha and this other male dog. The only foster that responded to our request was none other than Sasha’s. It must have been meant to be. We exchanged many e-mails. She was very patient and took the time to answer each inquiry, question and address each concern. All the while our application was being processed, and we were approved to adopt Sasha! The day we were to meet Sasha was the longest day of our lives. Finally the doorbell rang and it was Sasha! She ran in the house as if the house was hers and she was home to stay. Sasha has been such a joy and provides us with so much love. Everywhere we go, Sasha believes everyone is on this earth to pet and love her. Shortly after adopting Sasha, we had more love to give and decided to adopt another pit bull. We decided on Bones, aka BoneKrusher, aka Krusher, aka Krush. Krush has put a spell on all he’s met. We’re not sure if it’s his beautiful reddish/orange and white coat, his wavy backside, his curly tail or his calm demeanor; whatever it is, he has it and everyone loves him. No one loves him more than Sasha. She’s constantly “grooming” Krush, ensuring his ears and teeth are clean with her constant licking. 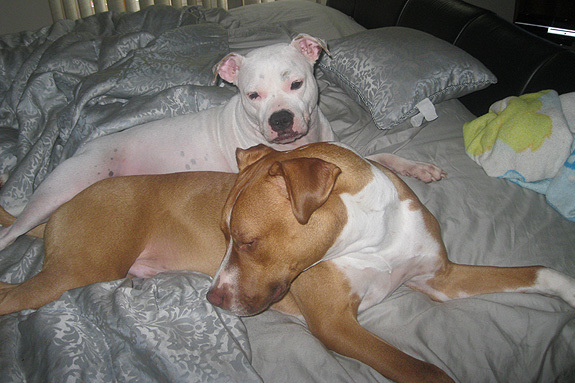 After adopting two pit bulls, the thought that I’ve done my part to help the breed quickly became an afterthought. After hearing and reading the horrific stories of various pit bulls all over, clearly more had to be done! Yet I wasn’t ready to commit myself to adopting another pit bull. And I didn’t have much time to give. I’m extremely busy with going to school, rearing the kids, working and raising two dogs. I felt nothing else could fit on this plate. However, more could and would fit on this already overflowing plate. The family and I started to volunteer. Shortly after volunteering, we became foster parents. With fostering we’ve traveled far and wide to save pit bull pups and dogs in general. It felt good to rescue a pup or dog, bring them home and give them a sense of normalcy until the right family came along. The void was beginning to fill up, however, more needed to be done! But I know I’m only one person, and the kids had things of their own to do for their age. 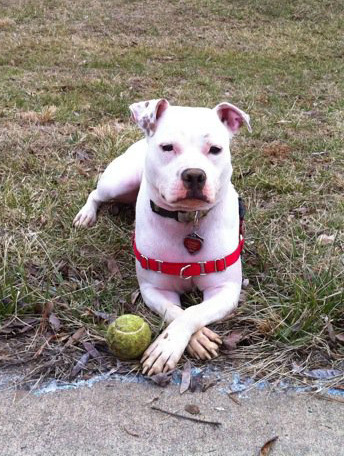 Then those awful words were heard “pit bull ban” in Charles County, Md. I quickly sprang into action by attending meetings to familiarize myself with the members of the Commissioner’s Board. Familiarize myself I did. The board members received e-mails from me personally. The idea of sending e-mails from an organization rather than a single person sounded much better, so in July 2011, The Pretty Chic with the Pits was born. Weekly e-mails containing statistical, “real” facts and experiences were sent to the commissioners from July 2011 to October 2011. When the commissioners announced that they had abandoned the idea of imposing a pit bull ban, it showed that one person or organization could make a difference. Since then, The Pretty Chic with the Pits, LLC was founded. It has generated a lot of steam since its inception. 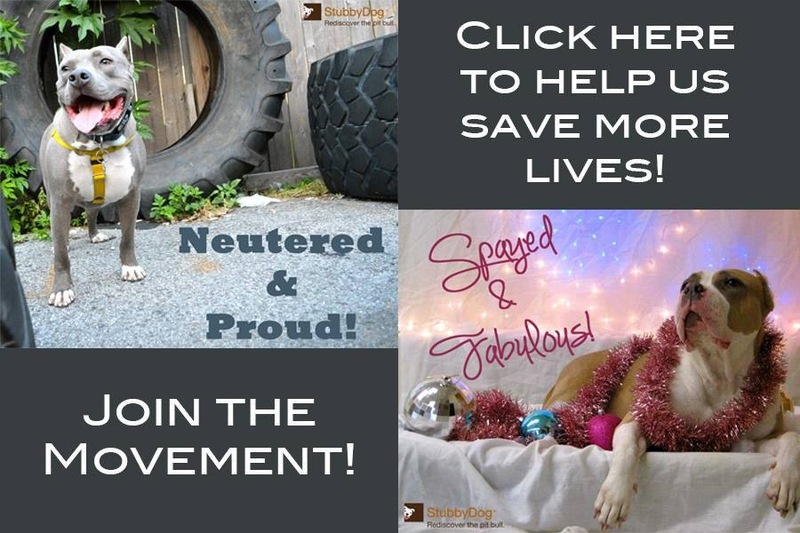 The Pretty Chic with the Pits, LLC is an advocacy organization for pit bulls and other bully breeds. We hosted our inaugural event, “Pits & Pumps” Dog Fashion Show benefiting Lucky Dog Animal Rescue on April 28, 2012. We invite all to checkout our website, like us on Facebook and follow us on Twitter! What a wonderful story, Kelli! Your pitties are beautiful, and I LOVE the “theme” of your organization, too — I love being chic, and I love pits! You must have unbound energy and unbridled love to spread where it needs to go. Thank goodness you’re on our side!! And the furkids are stunning! @DianaJones Its a passion, its difficult at times but I love this bully breed, I love my babies and will defend them to the very end. We’re in the latter stage of obtaining my certification to be a professional certified dog trainer. Upon completetion of the certification I will be leaving corporate america to train & fight for equality for this breed. Thanks for the support! @theprettychic Congratulations!! That must be a dream come true!! Good luck. @theprettychic awesome! Good luck to you and your human and furkid family! I love your story. You gotta watch those pit bulls. They’ll steal your heart, fill your calender and alter the direction of your life. I have found they are worth every single bit of it! Thank you for sharing your story and defending these dogs. @ShawnLowe Yes, they do fill your calendar, steal your heart, bed & definitely changed the direction of your life. Never in a thousand years did I think a dog would set me “free.” For so long I was lost and didn’t know my purpose in life until Sasha came into it, thanks to my son who educated me. Recently he admitted he left out how hard they play in fear I would change my mind about adopting a pit bull. This time it was ok for him to “omit” a few things. 1.attractive and fashionable; stylish: a chic hat. 1.a young chicken or other bird. 3.Slang: a girl or young woman. What gorgeous dogs! You’re the friend pibbles in your sphere of influence need! thanks for sharing your story. btw, checked out your website and joined up. @Matt.S Thanks for the support! What a wonderful story. Thank you so much for helping people see that Pit Bulls are wonderful dogs! We need more people like you in the world!!! 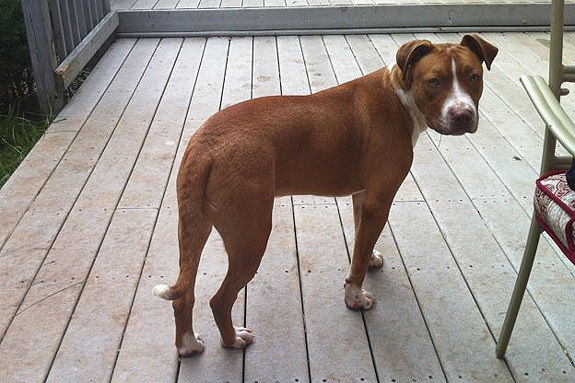 It’s funny how our encounters with pit bulls become transformative experiences. Thank goodness these dogs have this influence on us. Maybe that’s part of the equation – their need is so great and it’s so hard to resist not wanting to advocate for them. I’m so glad there are people like you who take advocacy to a higher level. @VKelly Kelli is unstoppable, she is so passionate, and we are lucky to have her advocating for pit bulls. Thanks! Forgot to mention how beautiful your dogs are. They certainly look happy. What beautiful furkids. Thanks for what you’ve done one pittie at a time. Amazing how things work out, isn’t it? 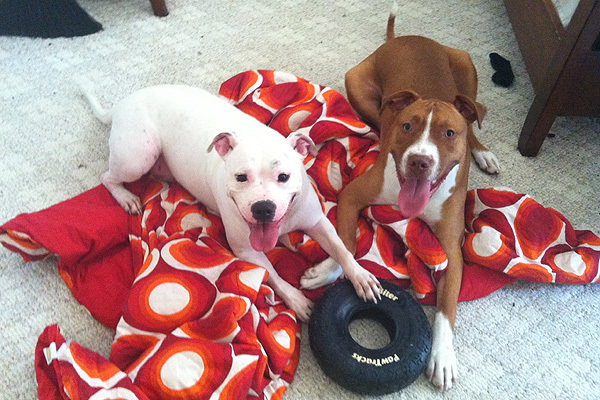 By not getting Creature, fate created an awesome furever home for both Sasha and Krush. When one door closed…two opened!